Learn to cook a traditional Bolivian dish, refreshing fruit juice or Singani cocktail and spicy llajwa sala. Using fresh produce from the local market and our family farm land, we offer a unique and enjoyable experience enriched with Bolivian music, culture and an enthusiastic host! 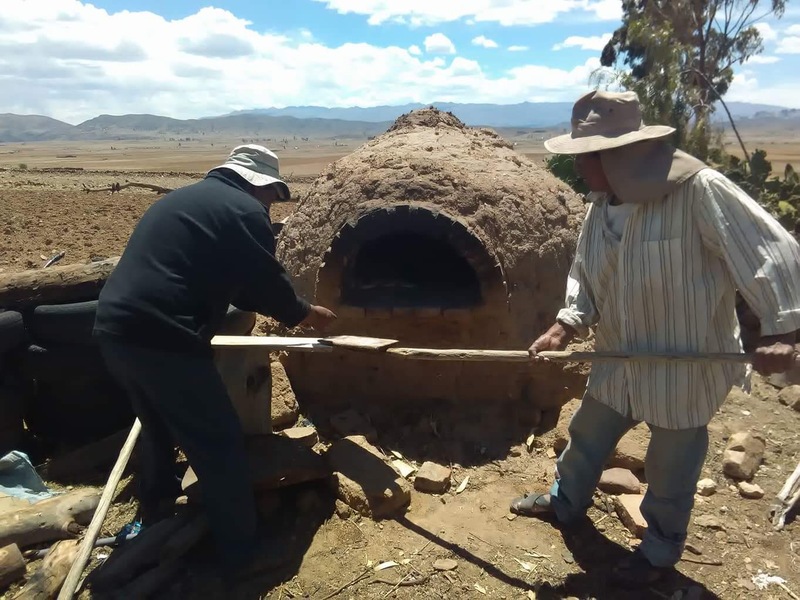 For a fun afternoon, grab a few of your friends and let Moises teach you how to cook a traditional Bolivian feed. He helped us with our Spanish and us, his English, while we made Papas Rellenas – stuffed, deep-fried potato balls, a passion fruit juice and a spicy sauce using a special rock that is like Bolivia’s answer to the mortar and pestle. It was a lovely way to spend a few hours in Sucre. A massive thank you to Moises for a fantastic morning of cooking! If you are passing through Sucre Bolivia I would defiantly recommend making a visit to La Boca del Sapo. After a warm welcome to his home, Moises taught myself and 3 travelling friends how to cook a traditional Bolivian meal using some traditional methods. After making a mess of his kitchen we enjoyed our meal and had a wonderful discussion on life in Bolivia. Such a great way to submerge yourself in the culture and try something new. I was born in a small adobe house in the Pampas farming region between Sucre and Potosí. 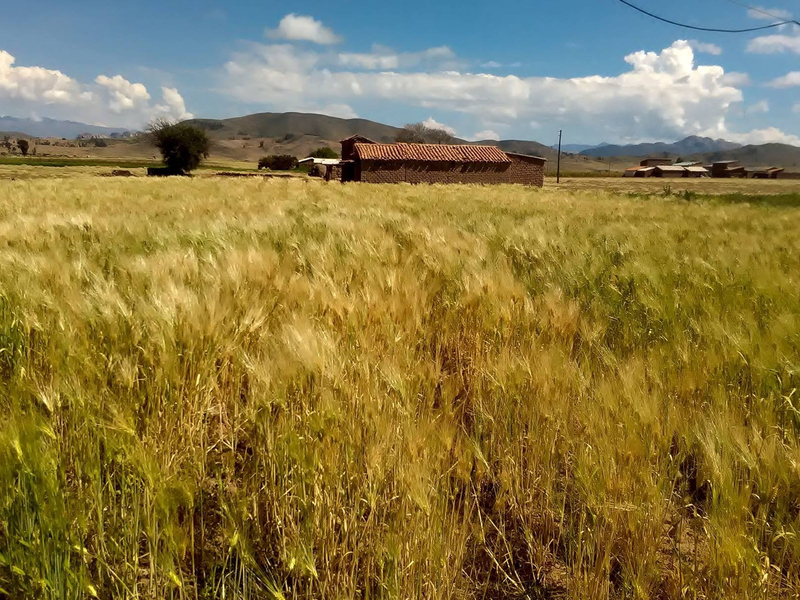 Here the fertile land is ideal for growing potatoes, corn and barley. My family continue to grow these Bolivian staples as did their fathers and their fathers before them, and from this comes my love of cooking Bolivian food using fresh local ingredients. 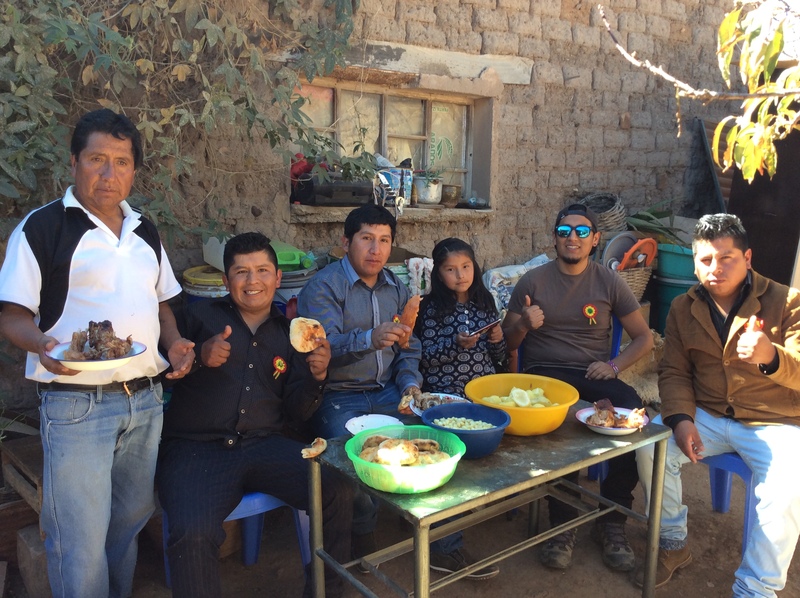 Eating together as a family is an important part of Bolivian culture. In Sucre lunch is the most important meal of the day with many people returning home to share a meal with family.